BA roof can be used to protect any structure. Building a roof will take some preparation. If you prepare well, you can save yourself the money that you would have to spend hiring a contractor to do the work for you. 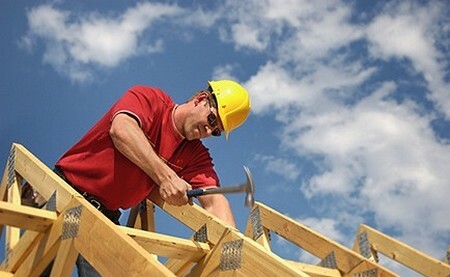 Here is how you can build a roof over your porch. Examine your porch to make sure the structure is strong enough to hold a roof. Look for damaged areas, areas that are weakened, rotted or even insect infestation that could weaken you structure. Draw a blueprint for you roof. 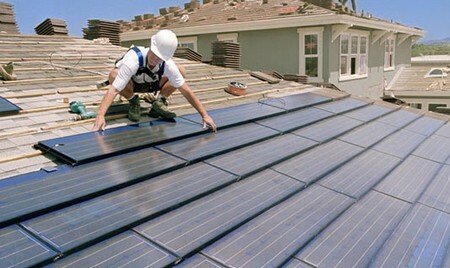 This is a very important step in building to your roof. You can get an architect to help you with this step, or you can look for software programs that will assist in creating some quality drawings. Make sure your drawing documents power outlets and things that you will need outside. Take note that your porch roof will resemble the roof over your actual house. Match the shape and pitch as close as you can. Make sure your overhang is between 12 and 14 inches. Your porch should be level. Raise your porch my hoisting it up and filling any gaps with concrete. If the ground isn’t level adjust your support posts. If your porch is raised, your posts go over the support posts. You need the same number of roof posts as deck supports. Use 2 x 4s to brace them. Make sure everything is plumb vertically. The top plate should be placed. Attach the top plate to the posts. Use 4 x 8 for the top plate. Sand them. Mark and install the rafters. Use your blueprint to make sure everything is placed properly. You need to verify that your porch is still straight and squared. If it isn’t change the length of the rafters. Secure the rafters with the top plate with 10d nails. When you are sure the placement is accurate, use 8 to 10 inch spikes to secure them permanently. Cover the roof with a ½ inch of plywood. Use 5 ½ inch screws to secure the roof sheathing. Cover the roof and the overhangings. Cap the ends of the overhangings with 2 x 4s. Cut them to make them flush. Shingle the roof. You’ll need to place the flashing on with nails and cover all gaps. Seal the roof. Weather proof the roof with a roll of underlayment. Draw a chalk line to follow with your first row of shingles. Use this as a rule to shingle the entire surface.